Now onto my thoughts on the cover! 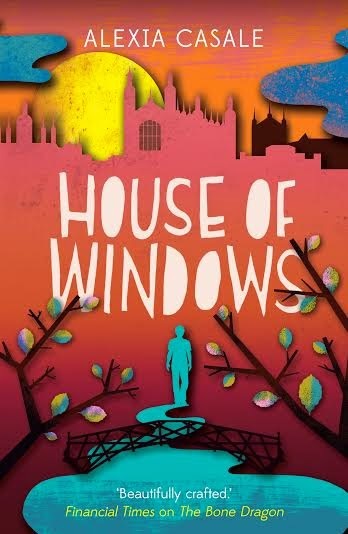 When I first saw the cover for House of Windows, my first reaction was 'OMG, look at the pretty!' I absolutely love the colours in particular. And I love that this cover and The Bone Dragon are very similar in design with the trees and the splash of colour at the bottom leading up to a single figure. In fact, here are the two covers next to each other so you can see how much they mirror each other. Aren't they gorgeous? I love the font that's used here and the softness of the colours. But also how you can see Cambridge in the background of House of Windows. What a pretty cover. I really hate that now it's a waiting game until July! I'm not allowed to reveal too much about the book, but I can say that it features a graveyard, a police station, tropical fish (deceased), a girl who wants to be a flower fairy (not deceased), a hospital, some very good singing, some very bad singing, an awful lot of coffee, and a very special book. The story starts on Nick's 15th birthday: his birthday wish is to get a First in his First Year exams at University. The book ends one calendar year later. House of Windows is probably best categorised as Literary Contemporary. It's written in the third person, past tense. 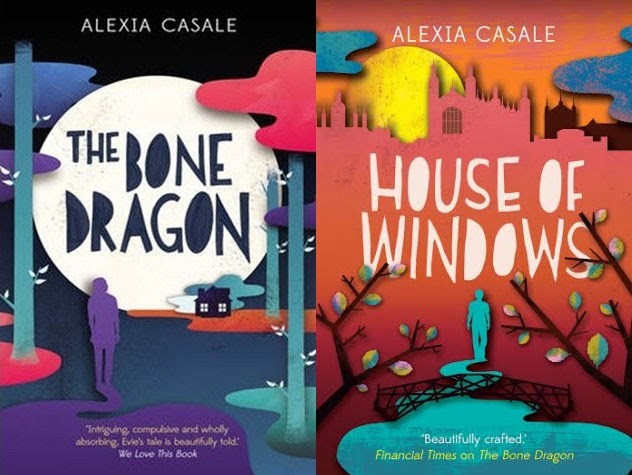 House of Windows by Alexia Casale is expected to be published by Faber on 2nd July 2015. This looks and sounds simply gorgeous. Both of those look fantastic, can't remember seeing much of either of them before, will have to check them out.